Stainless steel heat shield to sit over the stock WRX turbo. The turbo sits extremely close to the rear suspension brace. A couple heat shields made for Subaru applications didn’t fit due to the close vertical quarters. 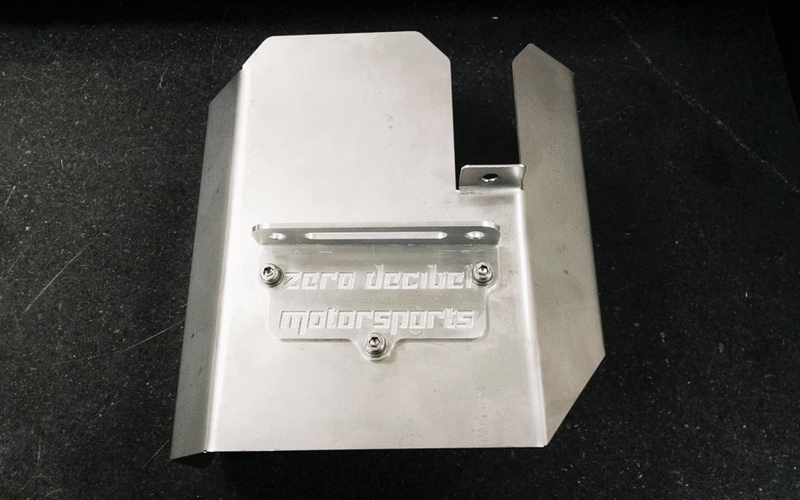 The Zero dB heatshield bolts directly to the suspension brace and wraps down the sides of the turbo to reduce heat soak of the intercooler that sits above the turbo. USPS Medium flat rate boxes ($12.95) fit these perfectly and cost the same as an 8x8x8 box. 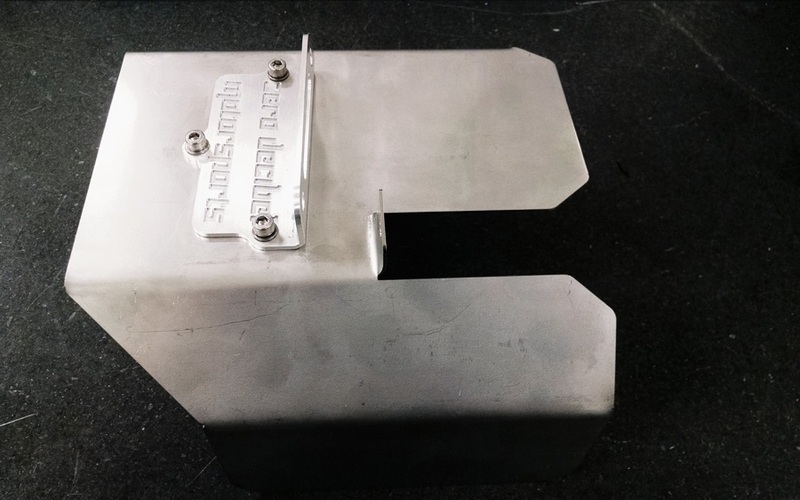 Louvers, oil caps/tubes, coolant brackets, and many other parts can fit in the same box! Does this fit any turbos besides the stock TD04? Does it fit over a turbo blanket? 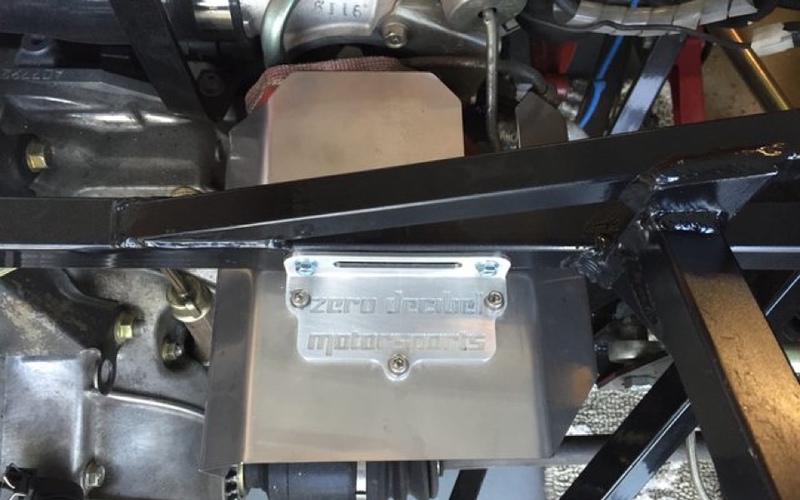 One forum member (CPlavan) has fitted one to his 818R with a turbo blanket. How do I install the heatshield? 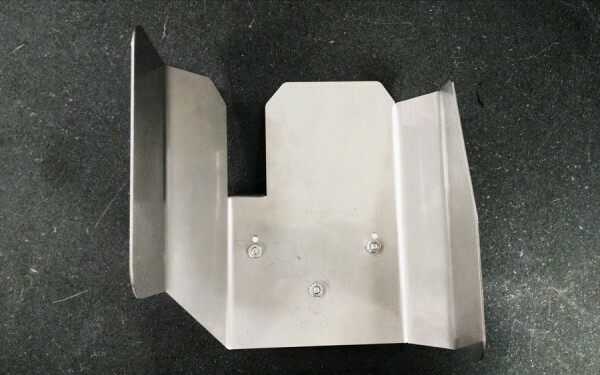 Remove the mounting bracket. Slide the heatshield over the turbo with the suspension brace installed making sure it clears the wastegate arm. Attach the bracket and hold the heatshield assembly where you want it. 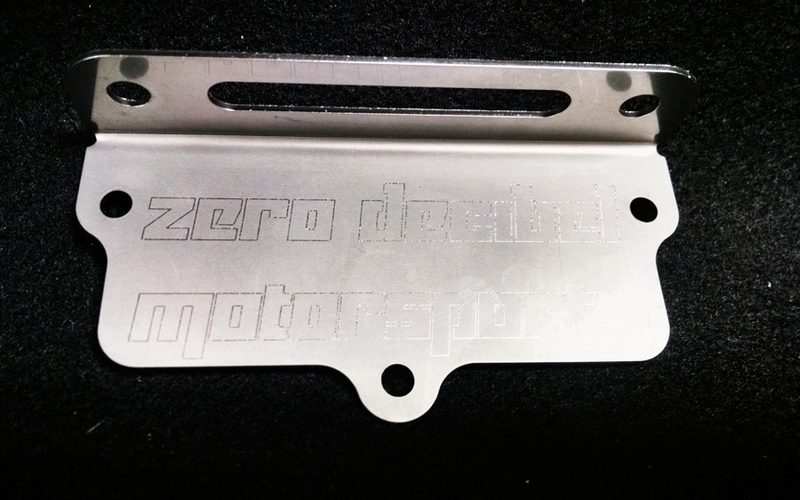 Mark the location of the front and rear mounting hole on the brace. Remove the bracket, drill, and install rivnuts. Replace the bracket and insert screws into the two new rivnuts. Ensure all screws are tight. Note: Prototypes used an aluminum bracket. Production versions will have a stainless bracket.